Remember that Facebook competition with a prize from The Home Depot Foundation in which you helped us win second place? 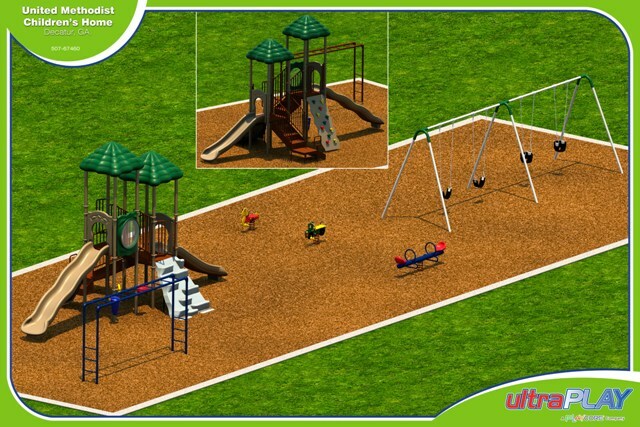 Thanks to your votes, the prize from The Home Depot Foundation, and then all of the donations you gave after the competition, we will soon see little children playing on this beautiful playground! The Home Depot sent us this poster in anticipation of a team of their employees coming to our campus on October 24 to install the new playground, where the young children in Family Housing and Jesse’s House will be able to safely play under the watchful eyes of staff and their parents. Check back after October 24 to see the digital rendering transformed into a physical reality! And many thanks, as always, for all you do to improve the lives of the children and families we serve.